If we take the time to stop, listen, and look, we can see signs from the Universe, God, Allah, Gaia, or whomever you deem your Deity. For years, I ignored the signs that something was terribly wrong with my hips; in fact, I lived for over 10 years with progressive chronic hip pain. It wasn’t until the Universe had to hit me over the head with its proverbial bat in 2013 in order for me to PAY ATTENTION to what my body was telling me. In this new chapter of life after PAO surgery, I am not going to make the same mistake twice. 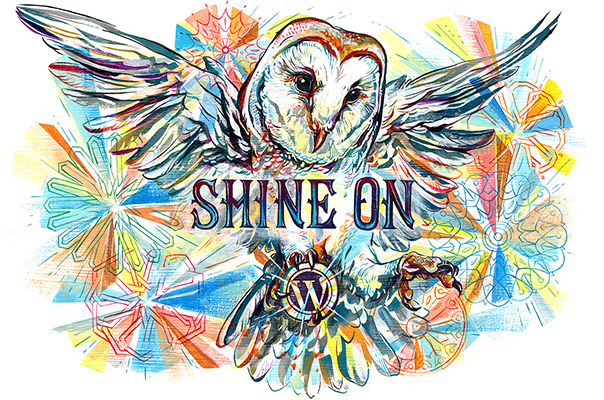 I have a deeper commitment to myself in wellness and spiritual growth, which brings me to explain the title of my blog: signs. My dear friend Erika with Turtle Healing Energy did an energy tarot reading for me for the month of October. The first card was The Tower. 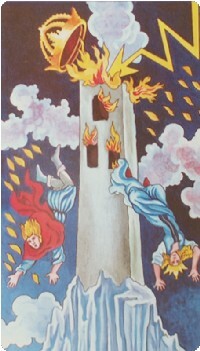 The Tower card in Tarot is a major arcana card, meaning its about life lessons, and depicts people falling from a burning building. Sounds dire, but what it shows is that its calling me to let go of what is no longer serving my highest good: old structures, old patterns, old ways of doing things and old friendships. Its time to spring clean the personal closet! Change feels prominent this season, confirmed by The Tower card, as well as with the recent diagnosis of my fur baby’s advanced colon cancer and her inevitable transition in the upcoming weeks. I also applied for a Wellness Director job at FitBit in San Francisco, which would call upon a major change: a move. As I was headed into Boulder today to meet with an investor of my startup that I created in 2006 and to discuss said company’s future, I was sitting at the stoplight and glanced over to my left and I see a white Mercedes. My dad drove a white Mercedes and I told myself 11 years ago when he passed that whenever I see a car like his, it means he is looking over me. Kinda ironic since he was an inventor and serial entrepreneur. Then to top it all off, almost simultaneously, on the radio came “Winds of Change” by The Scorpions. At this point I am laughing out loud. “I get it Universe! Change is upon me! I know I have responsibilities and need to step up! I am ready! I am open! I trust!” I really wanted to be shouting this naked on a mountain top with the wind blowing through me and a crystal in each hand but instead I was sitting in my air conditioned car on 95th and Arapahoe. Regardless of where I am, signs abound, and this go around I am smart enough to take notice. I am nervous, I am scared and I am excited. Most importantly, I am responsible and I am ready. Bring it.